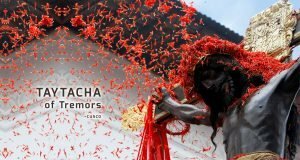 This article was posted on Saturday, December 29th, 2012 at 6:50 pm and is filed under Tours of Peru. 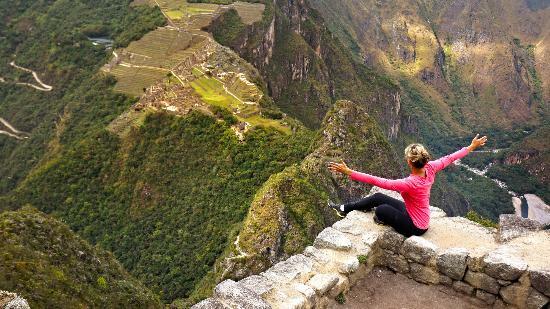 Saving up for dream vacations to Peru can become a reality if you look for the right Peru vacation packages, but once you get there, what is your plan? Do you know what sights you want to see, where you want to go and how you want to get there? Figure out what you want to see and chose a plan that covers some, if not all, of the places you wanted to catch. Planning on what you want to do is often what the Peru vacation packages will do for you, but you likely have options, depending on what one you get. Trips to Peru can be very rewarding for those who have never traveled to South America before. The culture is founded heavily on Spanish and native cultures, but also other cultures have been included in the melting pot that resulted from immigration. But to check out those differences, you need a plan. Here are a few questions and considerations you need to have thought about before your flight or ride down to the country. If you are coming in on a flight, you are likely going to use the long-distance buses or you catch a train while in the country. While the railroad system isn’t expansive, those who’ve taken trips to Peru will know that passenger trains are more popular there than they are in the United States. Not everyone is willing to take the bus in the U.S., but most people don’t have a problem with it in Peru. Some Peru vacation packages will have transport arranged for you, but double check to make sure that it does. The most popular attractions the country has to offer are not very close together, so knowing how you will get from place to place is key. Public transport is an option, however. For such a small country, Peru vacation packages have a lot to cover and not all of them will include everything you want. Research where you want to go before looking at for trips to Peru — if Machu Picchu and the Amazon Rainforest have to be on your list, then you need to plan accordingly and look for what will provide what you need. If you are looking for a little urban time as well, don’t forget to stop by Lima for some great food and night life, along with many historical distractions. Machu Picchu is the most famous site in Peru, called “The Lost City of the Incas” that holds historical significance to the Inca civilization that built it in the 1400s entirely out of stone with no mortar. Although it takes some time to get to Machu Picchu, Chavin de Huantar is another famous site that is about a four hour drive from Huaraz. A long drive that is worth the wait.There is a large central square and temple that you can visit while you tour the area, but be warned: any tour of the site will be an all-day tour because of how remote the area is. Peru vacation packages should have Chavin de Huantar on the list, or at least the museum in Lima that houses some of the artifacts found there. Thousands visit this place every year on their vacations to Peru. The site originally served as a ceremonial center to the Chavin, a tribe that predates the Inca. The Nazca Lines are also worth seeing if your tour offers it. These are located in the Nazca Desert and are giant sketches etched into the flat stone surface that can only be viewed fully from the air. These were likely created by the Nazca Indians, who lived in the region between 200 and 700 BCE. This small country has a wide variety of landscapes across its lands. The desert coast runs along the western boarder, while a portion of the Amazon Rainforest is a popular spot for Peru tourists. Between Peru and Bolivia is Lake Titicaca, known for its beautiful blue water, recreational activities and its sacred history in the Inca culture. That’s really great. Peru is an awesome place. Last year me and my wifey decided to go Peru. We never thought our Peru vacation would be so interesting, fun loving and enjoyable. We enjoyed great scenic beauty of Peru and visited may adventurous spot as well. Hi everyone, it’s my first go to see at this web site, and paragraph is actually fruitful in support of me, keep up posting these posts.